On Friday, our Year 6 children walked to Arundel Baptist church to share a Holocaust memorial service with children from Arundel C of E school and parishioners from local churches. 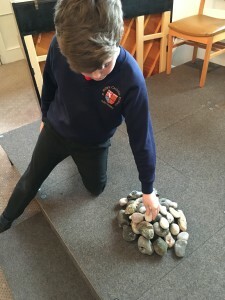 Pastor Steve led a moving service with children building a remembrance monument out of pebbles. Every child laid a pebble. The service included reading from the Old Testament and after the service the children were treated to a drink and biscuit. Thank you to Pastor Steve for inviting us.